On April 15, 2008, Bishop Prof. Krister Stendahl (pictured below) passed away, at age 86. Krister was Professor of New Testament and former dean of the Harvard Divinity School, former Bishop of Stockholm and former co-director of the Osher Center for Religious Pluralism of the Shalom Hartman Institute, where I first met him. Krister was a pioneering figure in Jewish-Christian and interfaith relations. The humility and wisdom of his person were unique. He preferred depth and human relations to scholarly intensity and frenzy. In so doing, he left a profound mark on all who came to know him. Thanks for your thoughtful paschal greeting, and also for reports and news re Elijah from time to time. They are the more important to me now when my days of travel are over due to my dialysis schedules, and I shall not see Jerusalem once more… That’s sad, but I have many good days and it seems that the brain is OK so far and that is grace indeed. And when I think of our early conversation during Elijah’s gestation, I affirm the focus on WISDOM as a lasting insight. Even the word is so much more tender than for example TRUTH which so often hardens the hearts. No, this is a time for the most tender terms of our traditions. This issue’s "Sharing Wisdom" section will feature some characteristic insights and aphorisms by Krister, who is sorely missed by all who knew him. 1. 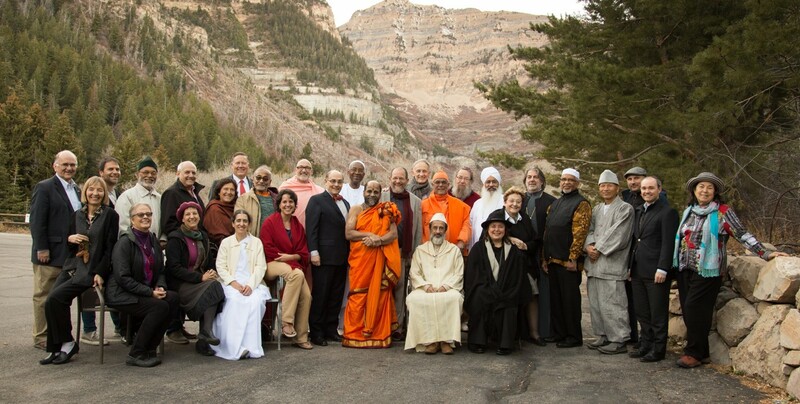 Activities of the Elijah Board of World Religious Leaders (EBWRL) should be based on the common virtue of humility as a fundamental principle of the spiritual life and an orienting principle of religious leadership. We seek to manifest this attitude in our relationship to other traditions, their wisdom and in our implementation of that wisdom in meeting today’s challenges. 2. We acknowledge the importance of membership in the EBWRL and partaking of its activities as a source for personal growth and transformation of individual participants. 3. We affirm a shared sense of need to extend our experience and learning at Elijah to our communities. 4. Ongoing work of the EBWRL should accordingly seek to strike a balance between personal processes of participants and collectively owning our responsibility in relation to the world. 6. We recognize the profundity and complexity of our religious traditions, their multiple manifestations as well as the challenges of the day and see our own efforts at humility-based-learning from other traditions as a way of respecting those complexities. 7. Based on the above, we seek to not only share these recognitions with our own communities but also to engage those who are not associated with religion, especially the younger generation, in dialogue with the sense of complexity and wisdom as they are known to us through our own search. Elijah’s continuing research and educational programs place a strong emphasis on developing contemporary theologies of world religions. While work is quietly going on in the Muslim track by several teams of scholars, we have some good news to share in relation to the Jewish track. With the support of a grant from the Henry Luce Foundation, a followup course to an earlier course (reported in the July 2007 issue of Wisdom), was taught this past March at Yeshivat Chovevei Torah Rabbinical Seminary, in New York. The course explored one of the key concepts that has served Jewish thinkers and legal authorities in defining their relations to other religions. The focus of the course was on "Shituf", the worship of another being alongside God. The course studied the historical development of the category and considered the socio-economic, as well as philosophical, circumstances, under which it gained currency. It noted the gradual rise of the category and its becoming the hallmark of Western European attitudes to Christianity, recognizing it as a valid form of religion, due to the fact that non-Jews were not understood, in this school of thought, to be prohibited from the worship of other beings alongside God. The adequacy of the category was critiqued, from a philosophical and historical perspective, following earlier leads of such authorities as R. Jacob Emden. Finally, a variety of practical implications, involving day to day relations with Christianity, were considered in light of this category. The methodology of the course combined historical presentation, philosophical analysis, halachic (Jewish legal) implication and a reconsideration and critiquing of the category. All these components are relevant not only to the specific focus of the course, but also to the broader project that seeks to develop a contemporary Jewish theology of world religions. At the same time, we were informed that an application by Yeshivat Chovevei Torah to the Henry Luce Foundation, to develop additional theological and educational materials related to Elijah’s project of developing contemporary theologies of world religions, was well received. A generous grant will allow groups of Jewish scholars to work on these issues over the next couple of years and to develop essays, annotated collections of texts and educational materials and syllabi to be used in courses taught at YCT and elsewhere. A community of scholars, representing diverse disciplines – history, philosophy, halacha, bible and rabbinics – is already engaged in this project, through earlier work, and in particular the Scranton conference, held in 2005 (See Wisdom July 2005 Issue). Scholars from this community will collaborate to produce position papers and curricular materials, geared at rabbinic, community and educational leadership, of all denominations. 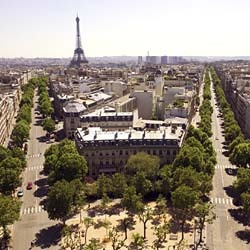 Each year of the coming years will be devoted to another theme, that constitutes an important aspect of this project. The first year’s research will focus on issues of Election and Identity, as these relate to Jewish peoplehood and as it impacts on Jewish attitudes towards other religions. Krister Stendahl was known for his wisdom, couched in pithy aphorisms that he used frequently, and by means of which he brought his wise vision to bear upon complex realities. I would like to share six of those with readers of our "Wisdom" newsletter. 1. "In the eyes of God, we are all minorities". Krister used this aphorism to address the changing dynamics of minority-majority relations between different religious groups. Emigration and globalization often lead one to consider the social dynamics of minority and majority group relations, as well as to reflect upon the contribution of interfaith dialogue to these relations, in changing settings. In this context, Krister never tired of affirming the divine view of things. From God’s perspective there are no majorities or minorities. We are all minorities. Let us, therefore, live with one another with peace and humility. 2. "It is pathetic to hear mosquitoes cough." This Swedish expression was a favorite of Krister’s, and he would use it freely to put various attitudes in their appropriate place. Thus, in his final piece for the Harvard Divinity Bulletin, vol. 35, Winter 2007, Krister said the following of religious apologetics: "Apologetics, defending the Bible – defending God, for that matter – is a rather arrogant activity. Who is defending whom? I love to use the old Swedish expression, "It is pathetic to hear mosquitoes cough." I don’t know why that is funny, but in Swedish it is funny. And apologetics is mosquitoes coughing. It kills so much of the joy in reading and practicing the love of the scriptures". 3. "When you are trying to understand another religion, you should ask the adherents of that religion and not its enemies". This is one of Krister’s famous three rules for conducting interfaith dialogue and for increasing interreligious understanding. 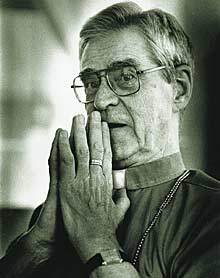 He presented them as Bishop of Stockholm in 1985. It emphasizes the need to get an honest reading of a religion, and to consider the religion in its best light, hence in the way its practitioners, rather than its enemies, see it. 4. "Compare best to best and worst to worst". This maxim is designed to counteract the common tendency of downplaying the value of one religion by highlighting its worst, while highlighting the best of one’s own tradition. Out of intellectual honest and love for the other, Krister would always insist that in comparing we must compare equals, thereby acknowledging we all have our best and our worst. 5. "Religions too can practice Holy Envy". Krister here takes a category of Christian spirituality and extends it to interfaith relations. Holy Envy is that attitude whereby we are inspired to the best by the example provided by another. That best, argues Stendahl, can come from another tradition as well. It is, therefore, necessary to practice Holy Envy not only within one’s tradition, but also in relation to other traditions. 6. "What one religion says about another religion, what one beloved scripture claims to be over against other scriptures, comes pretty close to a breach against the commandment "Thou shall not bear false witness against your neighbor." Here too Krister extends the principles of piety and spirituality to the realm of relations between religions. Krister had a passion about developing Theology of Religions, appropriate for our times. In this context, again, he extends personal relations to relations between the religions. Depicting other religions in a false way, that does not do justice to their full spiritual stature, is, accordingly, a breach of the Ten Commandments.